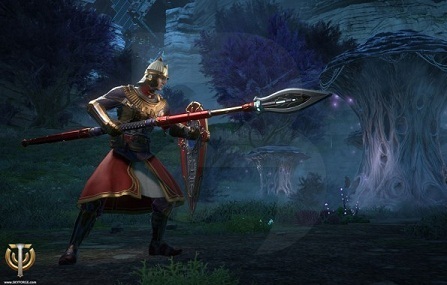 In Skyforge the knight is a very heavy armored warrior, the best skills adduce minimum damage and therefore gives a very good tank. The knight is very strong focus on our tank function and primarily uses skills that reduce or reflect damage taken. But otherwise, his skin clean and tidy and so can be safely traveling alone. We show here, however, a classic Tank Build for the Knights. Skyforge: Knight Guide - The extra hard tank! The knight fights with a big spear and a shield and looks like almost a little like an antique from Hoplite. Similar to the Paladin, he uses his primary attack spear attack to create combos. For this you need only a specific sequence of primary attacks begin and end at the right time with a secondary attack. The simple Secondary attack the knight, a battering ram, can rush ahead him in the cover of his shield. Moreover, the knight uses a trained falcon for ranged attack and can absorb and reflect damage to the Skill Resolute dissipation. Fluke 1 x left click, then right-click Surface attacking enemies before Knight. Resolute blow 2 x left click, then right-click Strong final blow, better if more resources are there. What skills should we take? These skills give off a neat knight tank, which hardly needs to fear from harm and death. Earthquake Land damage, which knocks enemies, attracts and slows. Barrier II Reduces damage and prevents resource regeneration. Can damage reflect. Resolute defense Regenerates resources and produces a damage shield. Fluke II Surfaces attack which also produces a damage shield. Stunning Strike Skips to the enemy and stuns him. The knight fights like a bad limelight and storms once the secondary attack battering ram into the fray, where he tries to catch as many opponents. Then use resolute dissipation by damage to absorb and repel. Then launch your wild area attack to destroy more enemies and renewed resolute dissipation whenever it becomes necessary. Against boss is more to resolute dissipation that you always activated when a thick attack threatens.